When Bud Moody is thrown off the train near McCook, Nebraska with one thin dime to his name, his prospects don't look good. He lands a job with the meanest tenant farmer on the divide, but pity for the family and loyalty to a rag tag harvest crew lead him to risk everything to succeed. 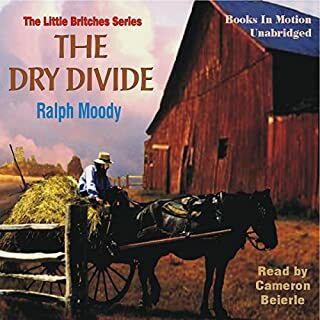 The Dry Divide transports readers to the end of the horse powered harvest in a triumphant homage to the work of the farmers and ranchers of the Midwest. It's London in 1876, and the whole city is abuzz with the enigmatic disappearance of a famous foreign pianist. Lenox has an eye on the matter - as a partner in a now-thriving detective agency, he's a natural choice to investigate. Just when he's tempted to turn his focus to it entirely, however, his grieving brother asks him to come down to Sussex, and Lenox leaves the metropolis behind for the quieter country life of his boyhood. Or so he thinks. In fact, something strange is afoot in Markethouse. What made the experience of listening to Home by Nightfall the most enjoyable? If you love small towns, or in this case, small villages and colorful characters, if you find good-hearted and aristocratic detectives irresistible, if you want your mystery to be astute and shrewd, but not sarcastic or fixated on gore, if you like intriguing bits of arcane history woven here and there, Home By Nightfall is just your cup of tea. 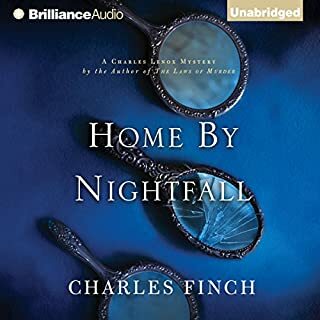 I think one of the things I love most about Charles Finch's series is that his character does not solve mysteries in a vacuum- his books are a slice of life. They contain not only mysteries, but insights into class and family relationships, the mindset and social customs of the British upper-class and the workings of Parliament, to name just a few. If you love Jane Austen or Patrick O'Brian, give the Charles Lenox mysteries a try. I was delighted to find this little story- a gently wry and humorous tale of twin sisters and their confused beaus from the pen of the talented Dorothy Emily Stevenson. 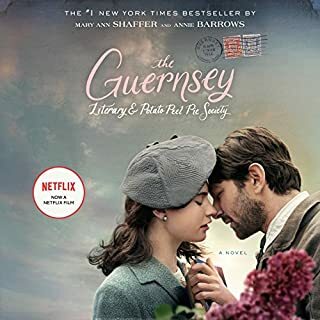 Absolutely charming narration of the story of the plucky inhabitants of the island of Guernsey- the only English possession to be occupied by the Germans during World War II. Told in letters exchanged between columnist/writer Juliet Ashton and an interesting conglomeration made up of Juliet's publisher, friends, and a colorful cast of Channel Islanders who formed an impromptu book club under the noses of occupying forces to hide the crime of eating their own pork. This is a story I hated to see come to an end and will happily listen to again. What a story! If you only have time to listen to one book this year, don't miss this moving chronicle of the life of Louis Zamperini. It blessed and inspired me, made me laugh and cry. We owe the joys of freedom to God's mercy and people like Louie who fought with everything in themselves and then something more. 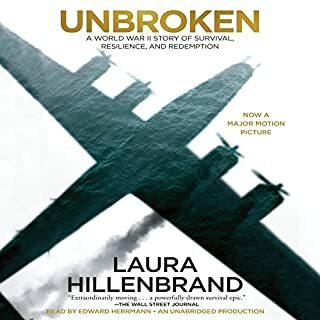 Laura Hillenbrand's prose is beautifully straightforward and Edward Herrmann's narration is superb. I've fallen for crusty old undersheriff Bill Gastner. 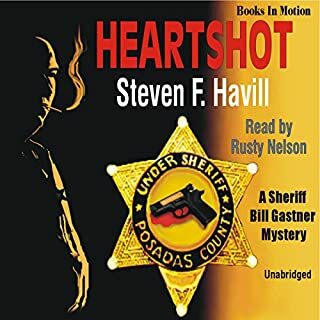 Author Steven Havill has done a marvelous job of developing a believable and intruiging set of characters living in Posadas County New Mexico, and reader Rusty Nelson's voice perfectly embodies the gritty, gravelly sheriff who lives for his job. I'm working my way through the series and enjoying every opportunity to know the folks of Posadas a little better. 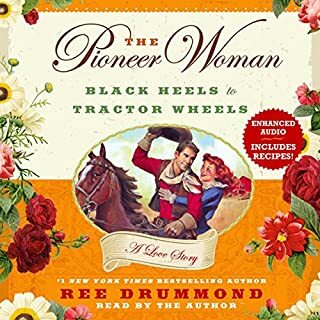 This is the story of Ree Drummond, a city girl with big city plans, swept off her feet by "Marlborough Man" to a home on a remote cattle ranch in Oklahoma complete with all the eye-opening moments such a major life change entails. I'm a big fan of Ree's Pioneer Woman blog- a delightful spot for country cooking, gorgeous photography, and humorous anecdotes. Her audio book is just as much fun as her blog, and best of all, it is read by the author herself. Here's hoping BBC makes a miniseries from the wonderful works of D.E. Stevenson. 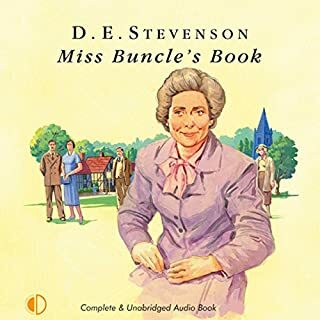 If so, the Miss Buncle books would be the place to start. They are charming tales that any fan of Austen or Gaskell would likely appreciate. Barbara Buncle is a naive single woman of a certain age who must suddenly find a way to make a living for herself. Deciding that her only option is to write a book, but feeling herself to be sadly lacking in imagination, Barabara writes about her neighbors in the small town of Silverstream- first assuming the pseudonym of John Smith and politely changing the names of all who are mentioned in her tale. Rather than writing the lives of her neighbors exactly, Barbara allows each character to do what she believes they secretly wish to do. Unfortunately Barbara does such a good job of describing her neighbors that they quickly recognize themselves. While some infuriated townsfolk begin a witch hunt for the slanderous "John Smith," others, including Barbara herself, take the suggestions of the story as an opportunity to embark on new adventures in this humorous tale of fiction becoming fact. D.E. 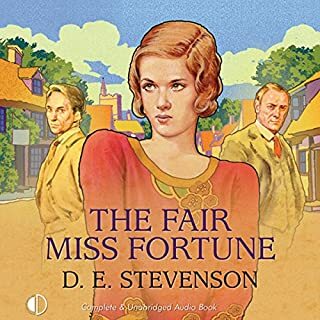 Stevenson was a wonderful author. 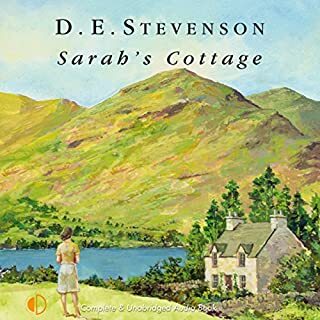 Imagine a small town series such as the Mitford novels by Jan Karon or the Miss Read books, but in this case the setting is the countryside of Scotland during the 1940's and 50's. The warmth of Stevenson's characters always leave me smiling and wishing them well. Well done, Audible! Please offer more.